Cattail Cotons is a Code of Ethics breeder who follows the CHIC (Canine Health Information Center) standard of the Orthopedic Foundation for Animals (OFA). 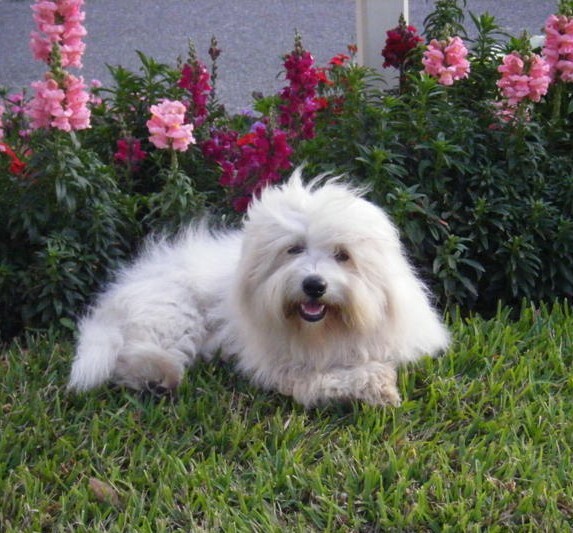 Specializes in breeding pet and show quality Coton De Tulear’s, and conforms to standards for the United Kennel Club (UKC) and the North American Coton Association (NACA). A strong advocate of genetic and hereditary disease testing, our puppies are guaranteed and warranted to be genetically disease clear/normal for all six diseases, currently known to be carried by Cotons. Our goal is to maintain a high breed standard for our puppies, pedigree preservation, and ensure that they are homed with people who are as enamored with them as we are. We have been breeding for over 10 years. We do not kennel, crate, or cage. Every puppy is socialized and cared for in our home as part of the family. Our contracts contain return policies, rescue and rehoming options. We comply with local, state, and federal Animal Welfare Act laws. Please read through our website to find out more about this lovable clown-like breed, and contact us if you have any questions about the breed, our puppies, or our breeding practices.